Cooper Wiring Device Arrow Hart® 3-Pole 3-Phase 4-Wire industrial grade polarized angled power plug in gray color, has nylon construction for added strength. It has a cord of size ranging from 0.56 to 1.31-inches. It has a voltage rating of 250-Volts and current rating of 50-Amps. Grounding plug has back wired terminals and accommodates 12-4-AWG wire. It measures 3-Inch x 1.88-Inch x 4.3-Inch. 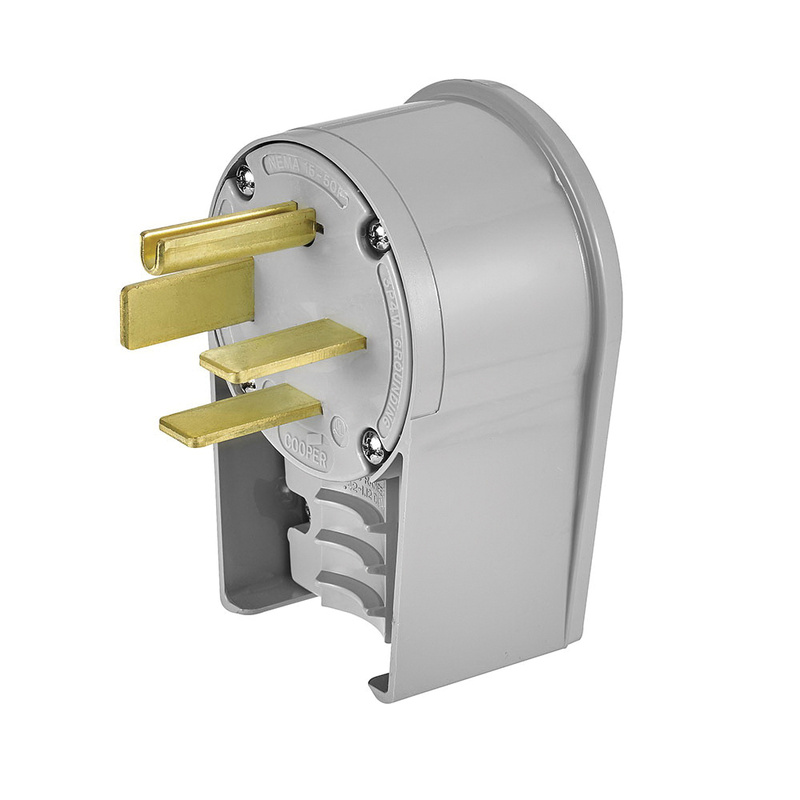 NEMA 15-50P rated power plug withstands a temperature ranging from -40 to 75 deg C. It is suitable for industrial and commercial applications. Plug meets UL 498, File E3663, CSA C22.2 No. 42 and Federal Specification WC-596 standards.